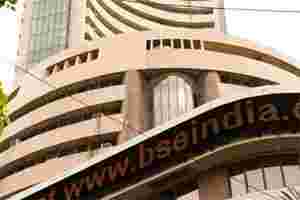 On Monday, the realty index of BSE Ltd fell by 2.7%, more than double the decline of the benchmark Sensex. One would have hoped that the central bank’s softening monetary policy stance, leaving key policy rates untouched, would have a positive impact on beaten-down realty stocks. Instead, the realty index lost 11.4% in a week while the Sensex shed 5.2%. Moreover, interest rates have only ceased rising and no signal of an imminent decline is in sight. The bigger challenge for developers is to rev up sales. A status quo on pricing in markets such as Mumbai has kept sales down. A report by Prabhudas Lilladher Pvt. Ltd said that Mumbai sales registrations for November were down 20% from a year ago and 12% from October. November sales hit a new low—the lowest in 31 months. Likewise, a Credit Suisse AG report released a month ago says the central bank data indicates that mortgage additions in some metros have been stagnant since March 2007. Indeed, up to mid-2000, investors were bullish on Indian property with retail buyers and investors rushing into residential, office and retail (mall) assets. Barring the southern market, especially Bangalore, which is resilient given the stronghold of mid-sized regional firms such as Sobha Developers Ltd and Prestige Estates Projects Ltd, most other regions such as Gurgaon and NCR (National Capital Region) have seen subdued sales in the past several quarters. September quarter results mirrored the lull with most pan-India firms registering single-digit revenue and operating profit growth over the year-ago period. Some are now trying to sell land parcels and non-core assets to repay debt and ease interest cost pressures. But this is no cakewalk given the state of the realty market. Adding to the woes is that the private equity (PE) investors—a channel that was open for realty firms to tap—are drying up as most PE funds are now shying away from Indian firms and assets. The long-drawn challenges faced by Indian property developers explain the pathetic performance of realty stocks. The realty index of BSE declined 46% over the last three years, even while the Sensex returned 50%. A cut in interest rates will do the sector good, but triggers such as higher asset sales and deleveraging of balance sheets are needed to sustain investor confidence.